Steve Tonneson was born in Thief River Falls, Minnesota. He grew up in Minot, North Dakota. He was baptized at Our Redeemer’s Lutheran Brethren Church and came to a conscious understanding of his faith in 3rd grade Sunday school class. 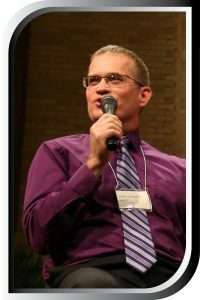 After graduating from high school Steve attended the Lutheran Brethren Bible School in Fergus Falls, Minnesota where he grew in his faith and as a leader. In 1980 Steve graduated from Minot State University with a BA in Business Administration and an emphasis in accounting. Prior to accepting the position of CLB Associate for Advancement Ministry in 2016, Steve served as President of Prairie Federal Credit Union for 25 years (a $120 million community chartered credit union in Minot). During that time, he also served Our Redeemer’s LBC as elder and from 2006-16 as chairman of the congregation. He and his wife Lynette live in Fergus Falls. They have three married daughters and five grandchildren.